The SportDOG® Brand In-Ground Fence™ System gives your dog room to run but not run away. From city lots to large properties up to 4,047, our system has been proven safe, comfortable, and effective for containing all dogs over 4.5 kg. Setup is easy: simply bury a wire at the perimeter of the yard. When your dog is wearing the collar and nears the boundary, your dog hears a warning beep. If your dog continues toward the boundary or tries to leave, the collar delivers a harmless static stimulation as a reminder to stay in the 'safe' part of the property. With some simple training exercises, your dog quickly learns to respect the limits you’ve set. 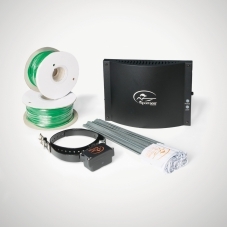 Installing an In-Ground Fence™ system is an easy weekend project. Skills and tools required: Installation involves simple handiwork with basic yard tools. 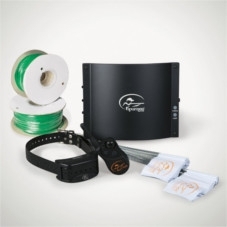 You’ll be burying wire at a very shallow depth, possibly splicing wire and patching the surface along the perimeter.